The United Arab Emirates and Dubai have solidified their spot on the international stage. They have become one of the most luxurious, beautiful, and mesmerizing places to live or visit. It’s a place that’s dripping in royalty and riches where you can catch a glimpse of some truly incredible things. The fascinating world of Dubai is a paradise like no other. We’re here to show you some of the exciting things they have to offer! Trust me, you’ll see why it’s known as one of the wealthiest cities in the world. The contraption was the work from Abdolhadi Mirhejazi, an Iranian inventor. 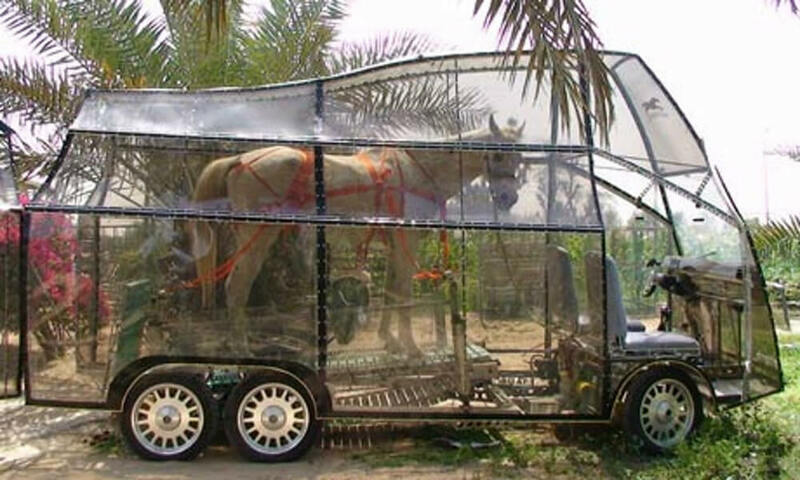 It’s just a horse-powered vehicle that works by having the horse walk on a treadmill. Due to that, its horse powers the car’s battery, which is pretty neat if you think about it. This is an eco-friendly alternative to using cars. Tourists are expected to follow the dress-code of Dubai. Anything that’s revealing like swimsuits or clothing are allowed on the beach, but it’s advised that both men and women cover up when out in other public places. Dubai may think of itself as more liberal than much of the Middle East, but it’s just the same. 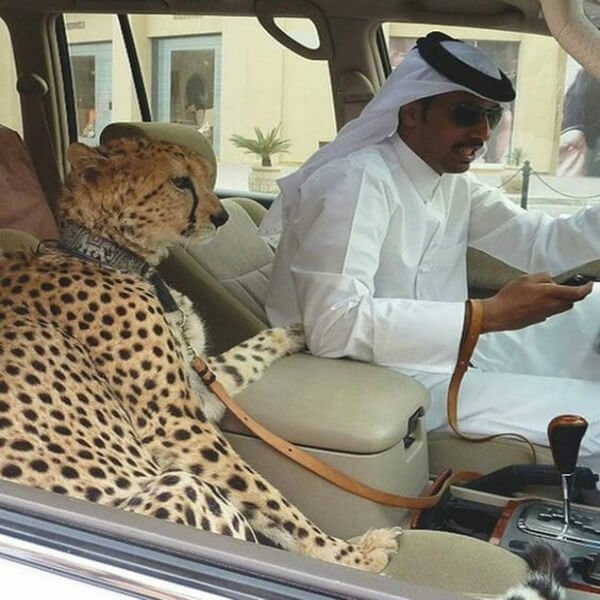 Among the rich and famous people of Dubai, big cats as pets are the latest obsession. Particularly, cheetahs are a popular choice since they tend to shy away from danger instead of becoming aggressive. Should people have cheetahs for pets? That’s a different question altogether, but it would be a cool pet to have! Yup, that’s the famous Burj al Arab. It’s built on top of the fourth highest and the only seven-star rated hotel in the world. 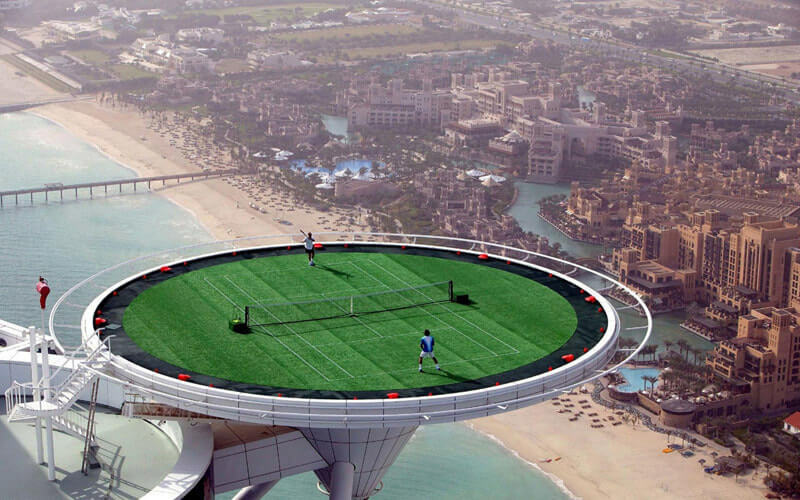 Oh, and it’s officially the highest tennis court in the world too. Can you even imagine watching Roger Feder and Rafael Nadal duking it out on this court? I can! If you have almost $10,000 in your savings, there’s a place for you to sleep underwater! 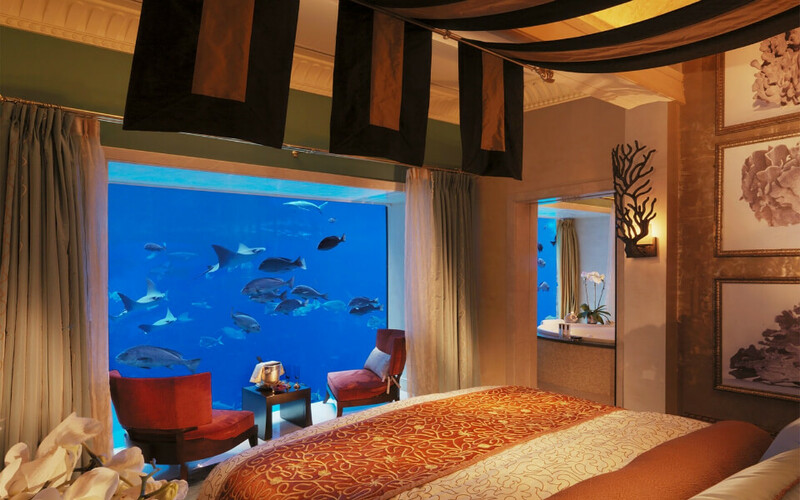 At Atlantis, The Palm Resort, the over-the-top hotel suite has three floors, gold-filled soap, and access to a 24-hour butler. You can even explore many non-native species in their private aquarium too. 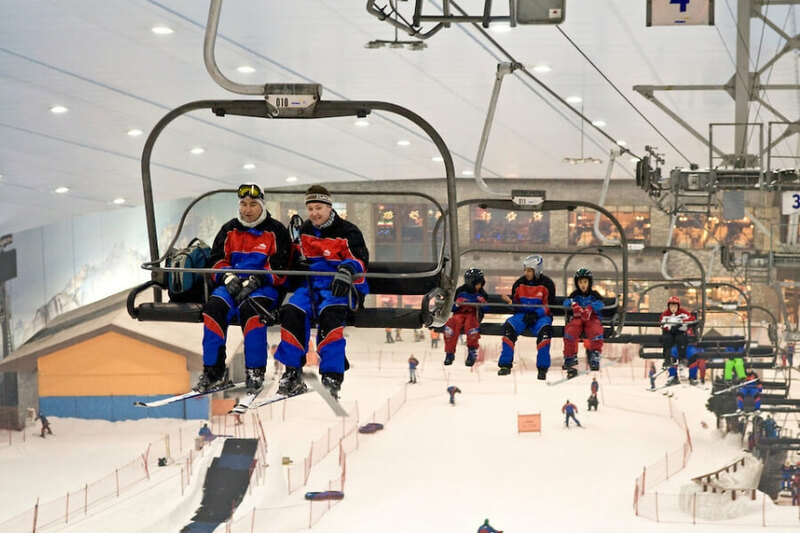 It doesn’t matter if it’s too hot to ski in Dubai, they have an indoor ski resort! Yup, the Ski Dubai lets anyone ski year-round, even in the hot summer days. Interestingly enough, the resort provides all required ski clothes and equipment, so you don’t have to worry about bringing anything! Welcome to the tallest building in the world! At an overwhelming height of 2,723 feet, the structure contains more than 1,000 apartment complexes and hotel rooms on 164 floors. It also has the highest outdoor observatory in the world. If you noticed any trends here, Dubai certainly has a knack for breaking records! 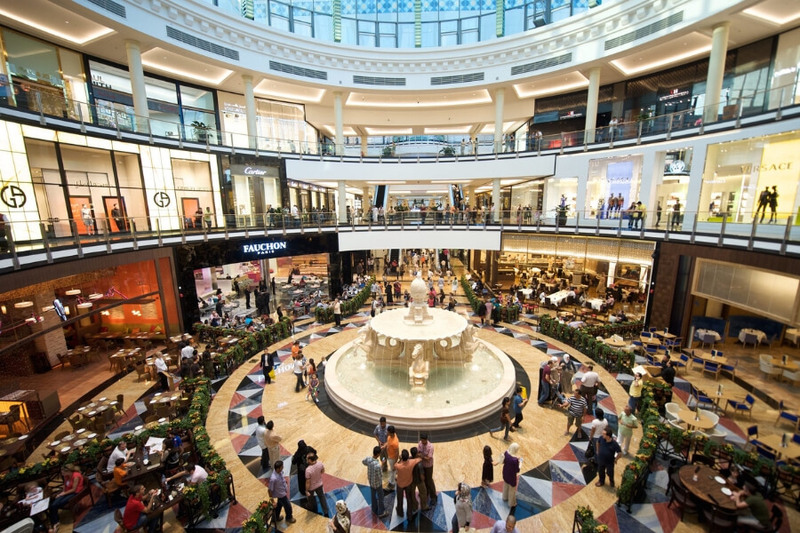 Step aside, Mall of America, the Mall of the Emirates is taking over! The shopping complex is the first shopping resort in the world. That’s right, it’s the home to Ski Dubai, and the mall has two five-star hotels connected inside. With over 100 restaurants and cafes, you won’t be leaving on an empty stomach. 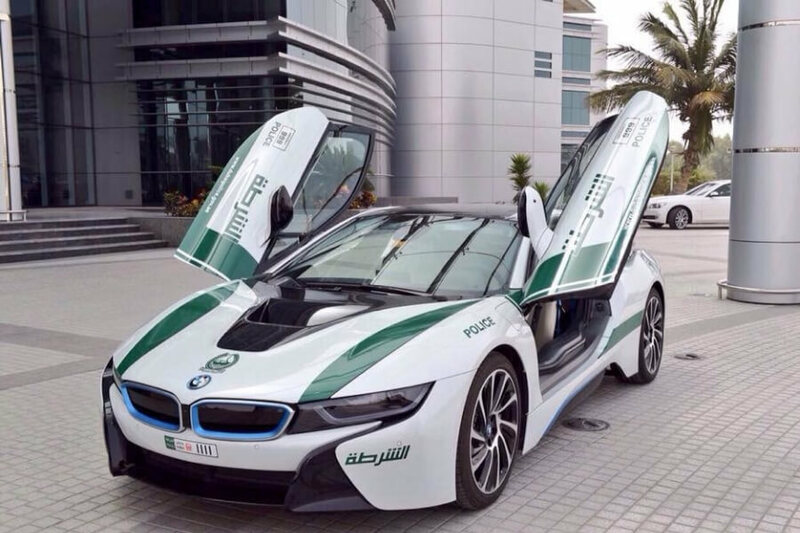 Have you ever wondered about the police cars in Dubai? Well, everyone out there seems to have a fancy sports car. After saying that, the cops also have luxurious vehicles of their own. One police fleet has a Lamborghini among the ranks. They also have Aston Martins and a Bugatti Veyron too. 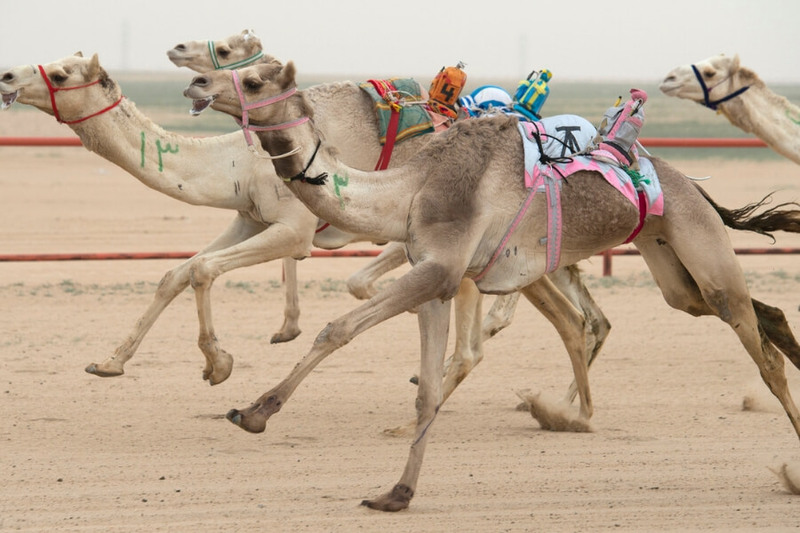 Football is big in America, but camel racing is big in Dubai. And yes, those are tiny little robots on top of the camels’ backs. Seriously though, camel racing is an ancient tradition that’s got a modern twist. Each little robot is equipped with a radio so trainers can talk to their respective camel during the race. 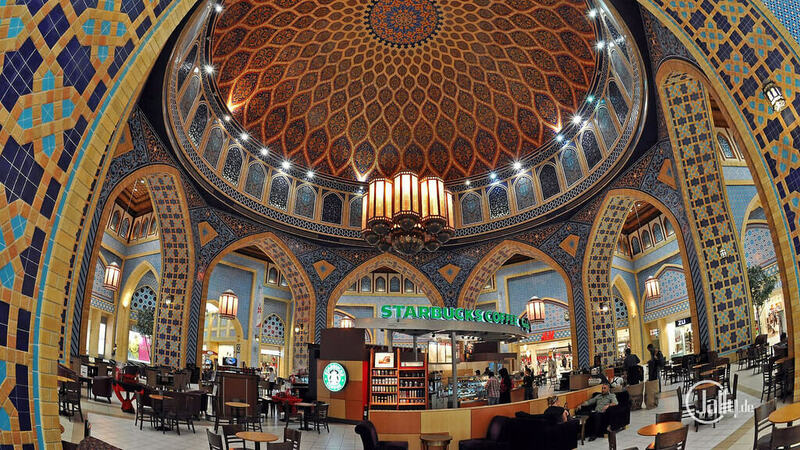 Going to Starbucks at the Ibn Battuta Mall is quite the luxury. Your trip to Starbucks for anything latte just got real expensive. The place looks like it only accepts royalty and nothing else. I don’t think there’s a cover charge to get in, but I wouldn’t be surprised if they had one. 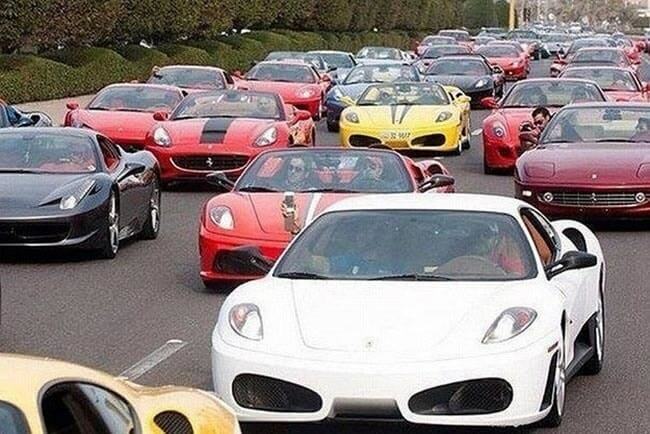 On the regular commute home, it’s estimated that over 50,000 people own at least one luxury car. The Middle East boasts the highest per capita spending on any luxury vehicle compared to other regions from around the world. It makes you feel kind of silly for driving in your sister’s old Honda Civic. 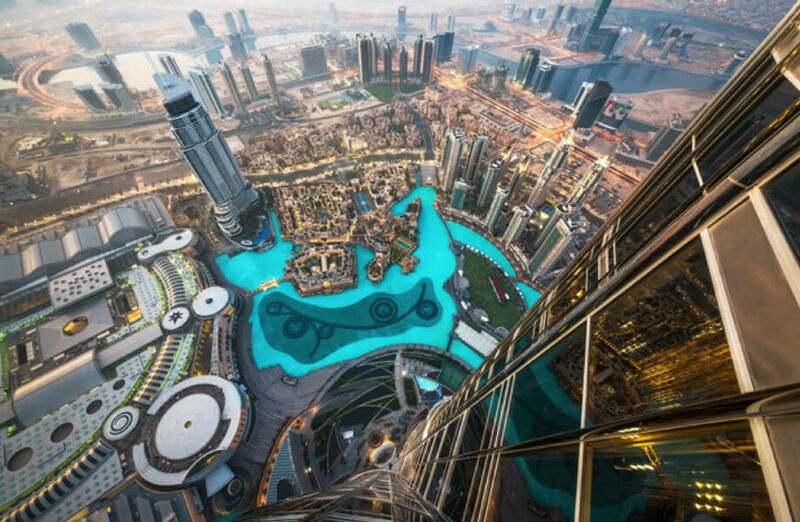 If you think Dubai looks crazy or cool now, just wait. The map indicates that the projected future of the city has something in store. When you run out of islands, you build more, and the city is creating man-made islands. It’s pretty surreal, so no more traveling to exotic places for beaches and resorts. It would hurt if you fell over. But, who cares if you wipe out and scrape your arms, this looks like fun! 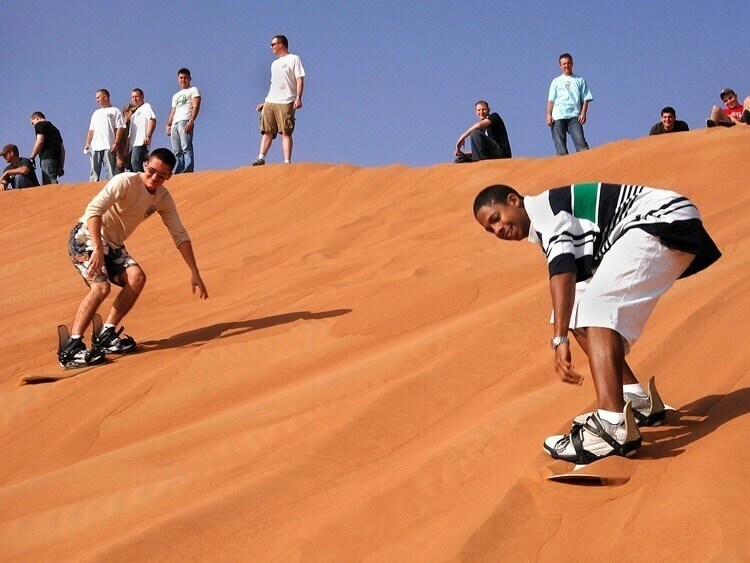 Cruising down those orange dunes looks like a once in a lifetime experience. There’s something awesome about this idea that makes me think it could be a Summer Olympic sport one day. 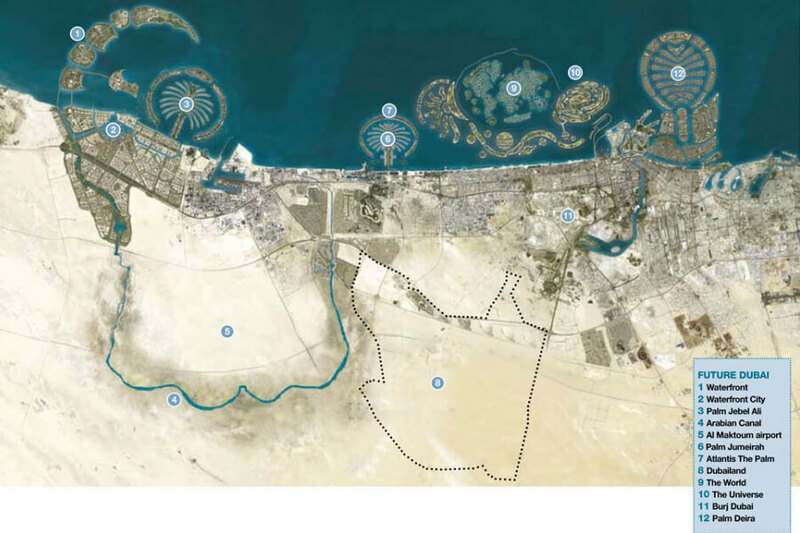 The Palm Islands in Dubai are known for their beauty, and it was man-made. They’re not trying to make it look natural; they just built the whole thing to look even more beautiful from space. 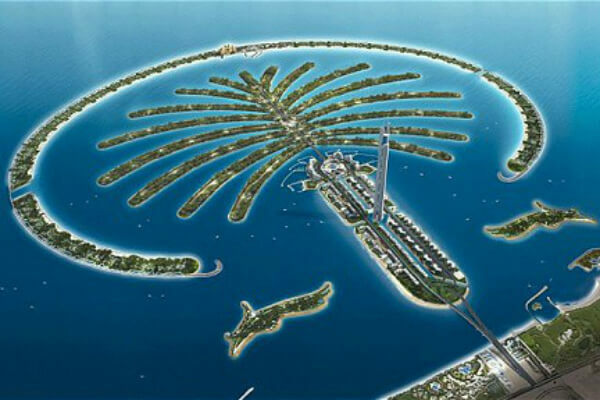 Palm Jumeirah is the only one that’s open for business at the moment, and it’s private for rich and famous visitors. 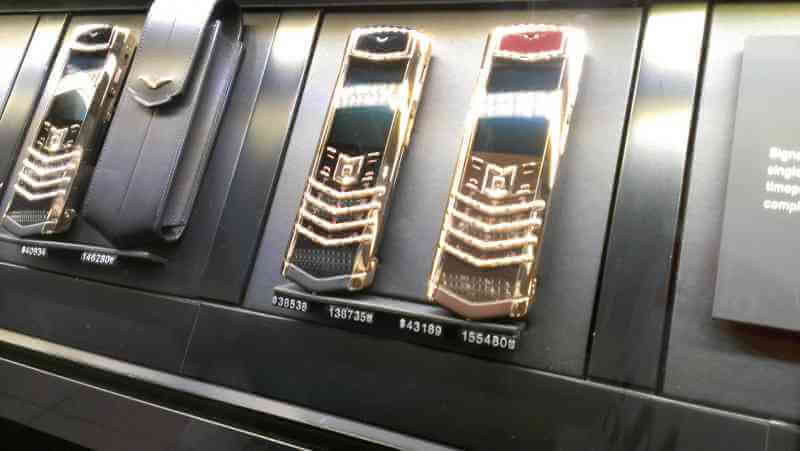 These expensive devices can be found for sale at the Dubai International Airport. The US price listed on the right side of the tag shows that these phones are worth more than some people’s homes. It looks like one of those old Motorola Razor phones, with some bright colors all over it. 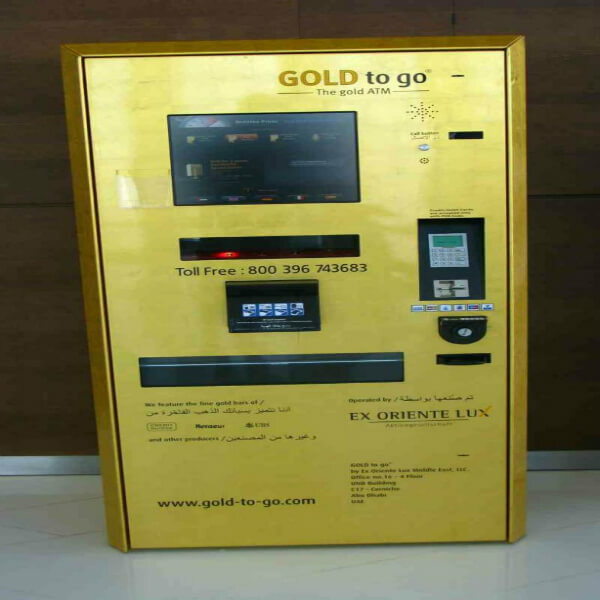 In case you need some gold while on the go, there are ATMs for that. These particular gold ATMs are located in the Burj Khalifa, which as mentioned before, is the tallest skyscraper in the world. If you’re wondering how much it costs to construct these machines, it’s roughly $1 billion. Only in Dubai would they make their cars go super wide. 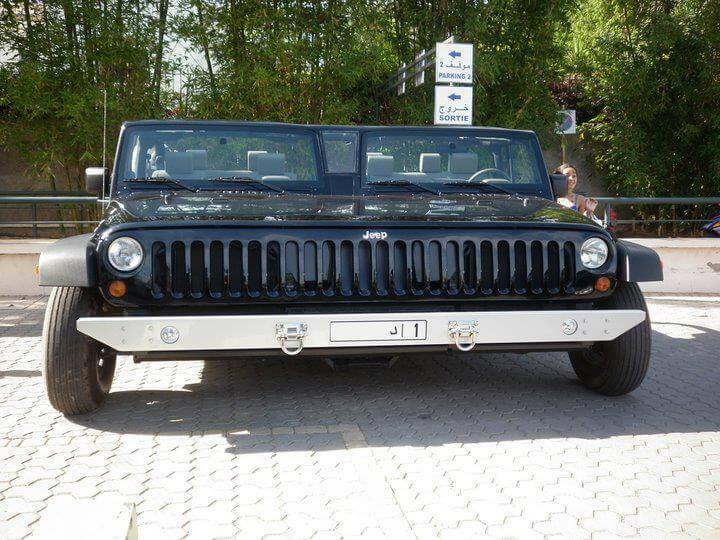 This broad type of Jeep Wrangler must be a nightmare to park or even drive on the road. That’s going to make checking your blind spot much more challenging, but I doubt anyone would want to get in your way or try and pass you. What you’re seeing is this local business that offers free food. It’s for those who have no money or are currently unemployed. Give the people the necessities so they can strive to reach their passions. Oh, and if you’re a tourist on a budget, this applies to you too! Here’s A Metro Sign You Don’t See Everyday! 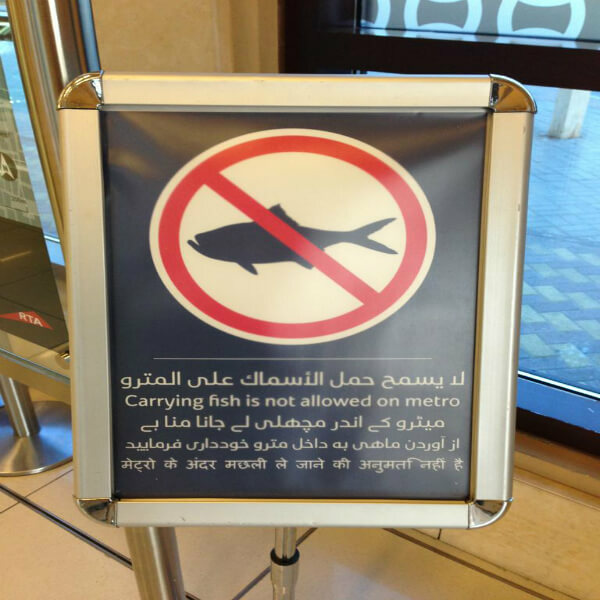 Apparently, carrying fish on the metro happens enough to become a sign. It had to be created to forbid the smelly practice. 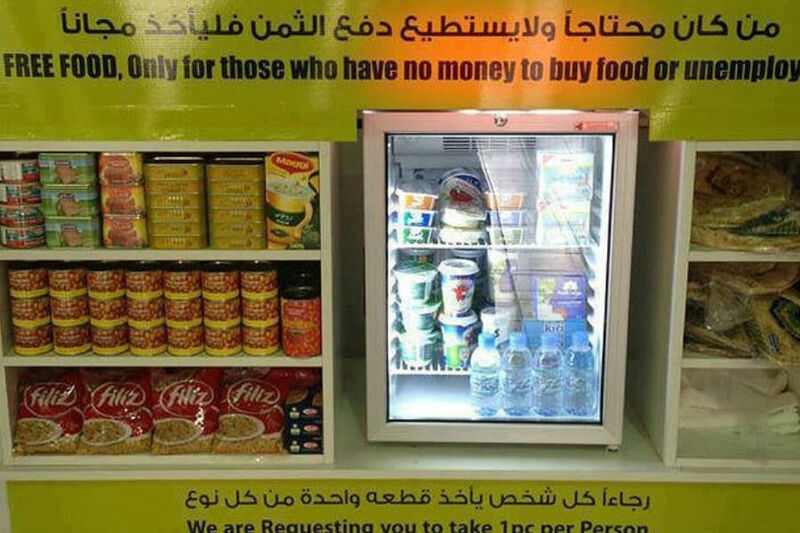 You wouldn’t dare come across this sign in North America, but in Dubai, you have to respect what they’re doing. They’re just trying to make it less fishy.